Teaching your homeschool students to use the library independently is one of the best educational gifts you can give them. Most public libraries in the United States arrange their books according to the Dewey Decimal Classification, so learning the basics of the “DDC” is an important library lesson. Tuesday is Books & Libraries Day at the River Houses, and on the first Tuesday of each month we invite you and your homescholars to explore one of the major Dewey Decimal classes. If you start at the beginning of the traditional school year and run until July, you can “adopt” one major class each month and cover the whole of knowledge (!) in a year. This month’s class is the 000s — the “zero-hundreds” — which covers General Works. The Dewey system is grouped by hundreds, so “the 000s” means the numbers running from 000 to 099. Interestingly, because the Dewey system was developed long before computers were invented, the major subject of computer science originally had no Dewey home, so it was eventually put into the 000s also (although an argument could be made that it should have been put into either the 500s — Science — or the 600s — Technology — instead). 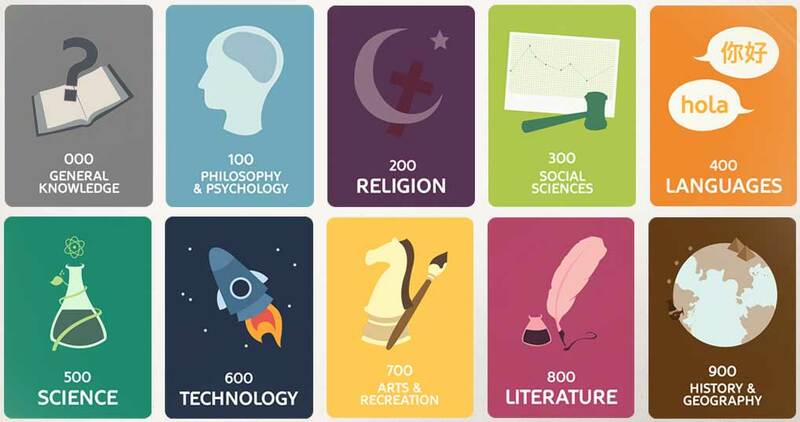 Be sure your students understand that any library that uses the Dewey Decimal Classification will be arranged the same way: the numbers run from 000 to 999 in every Dewey-based library, and if you’re interested in, say, astronomy, you’ll find it in the 520s in both the small-town library near you and in the big-city library across the country. Learning these library basics will help your students become independent life-long learners and will ensure that they’ll feel right at home in any library they visit.